Whether you are planning your own shower or your bridal party is handling the logistics for you, we have 5 tips to remember when planning your shower and the associated wedding shower games. The bridal shower is one of the highlight wedding events leading up to your wedding day. All brides look forward to spending time with their female friends and family and of course, everyone looks forward to the wedding shower games! Here are 5 helpful tips to get you started! If your shower is being planned by others, you will want the people who are in charge of (such as your bridal party and/or relatives) to have access to your guest list. It is important that they have access to your bridal shower guest list in order to send out the invitations and arrange the seating chart for you. 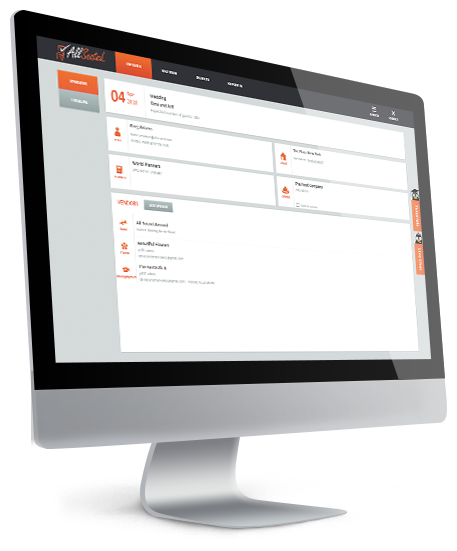 Since AllSeated is a collaborative planning tool, you can invite your “entourage” into your AllSeated account which will give them easy access to your bridal shower guest list! Remember to group your guests within your guest list to easily distinguish your bridal shower guests. When creating the floorplan and seating chart, be mindful of where the bridal formalities will take place. 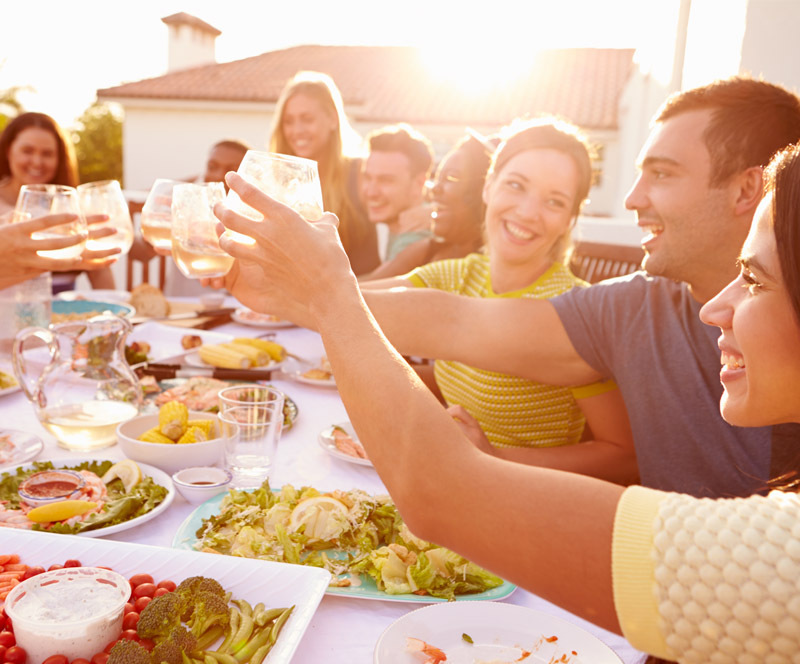 Whether it’s for opening gifts or wedding shower games, all guests in attendance should have a access to a good view of the guest of honor! Be sure to arrange the seating in a way that makes the flow natural and comfortable for those in attendance. Once your seating chart is finalized, kick-off the wedding shower games with fun place cards! As guests arrive, ask them to write their wedding advice for the bride-to-be on the blank side of the card. Once everyone is seated, collect the cards and have the bride-to-be read them aloud! Bonus Idea: provide a keepsake box to store the cards after the shower! When setting the tables, place a “Bridal Trivia” sheet at each place setting. Bridal Trivia is one of the most popular wedding shower games that guests tend to really enjoy. We have created the printable inforgraphic for you which can be easily downloaded and printed directly from this article. Print enough sheets for each of your guests, place one at each place setting with cute pens and have fun! 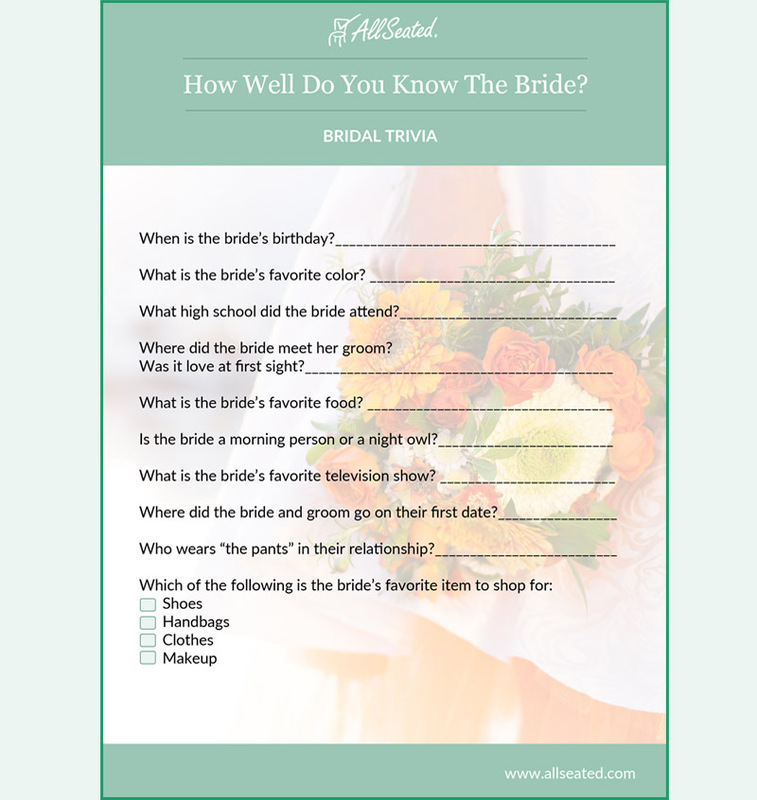 Click here to download the free Bridal Trivia printable template.